4>It can also do as pe your specific requirement! TOPMED was established in 1997,The Major products we produce are nonwoven disposable products include Face Mask ,bouffant caps,surgical gown,isolation gown,patient gown,visitor coat, Lab Coat ,coverall,sleeve covers,shoe covers,bed sheet,bed cover,pillow cover,apron and so on. which is widely used in medical, industry and beauty&hair salon field. Main markets are Europe,North America,South America and Southeast Asia and other regions. Looking for ideal Isolation Gown Manufacturer & supplier ? We have a wide selection at great prices to help you get creative. All the Disposable Isolation Gown are quality guaranteed. 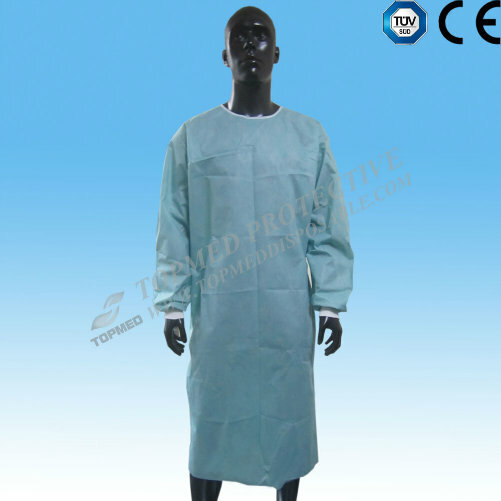 We are China Origin Factory of Nonwoven Isolation Gown. If you have any question, please feel free to contact us.